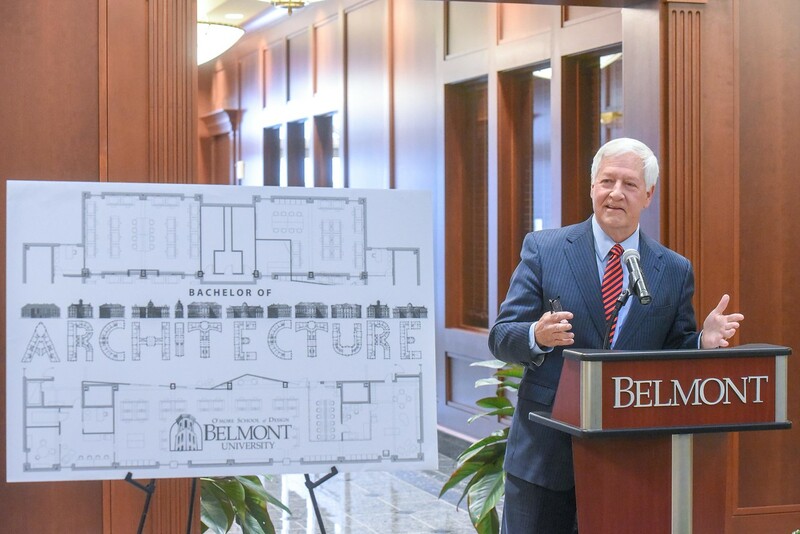 Dr. Bob Fisher announces that Belmont will add a Bachelor of Architecture degree at Belmont University. Key occupations that make up the design sector include architects, landscape architects, graphic designers, fashion designers and interior designers. Adding an architecture program to Belmont’s O’More School of Design—which currently offers majors in fashion and interior design as well as fashion merchandising—rounds out the school’s offerings within the design field. According to Architect Magazine, there is a projected need for approximately 25,000 new architecture positions nationally in the next decade.